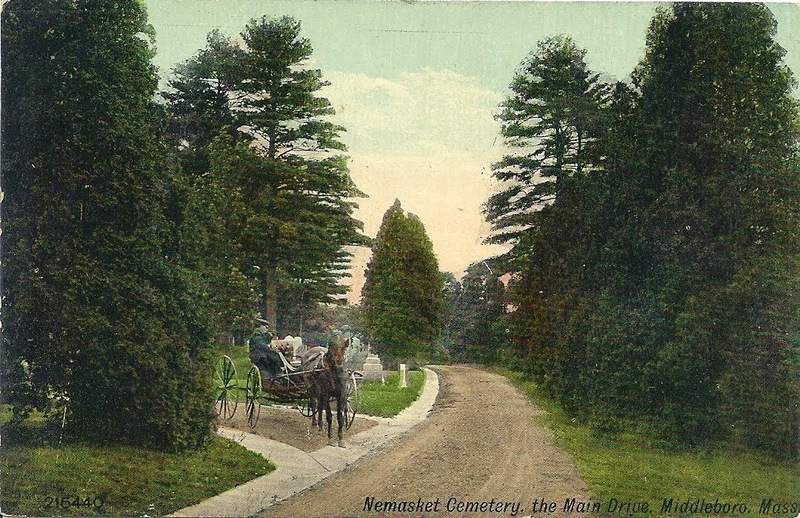 The Nemasket Automobile Company was one of the earliest Hudson dealerships in southern New England and likely the first in southeastern Massachusetts. In operation between 1911 and 1942, the firm was prominent among Middleborough’s early automobile dealerships, retailing not only Hudsons and Hudson-built Essex, Essex-Terraplane and Terraplane makes, but Dodge and and Willys-Knight automobiles, Denby trucks and Yale motorcycles as well. The Nemasket Auto Company was established on April 3, 1911, with John W. Howes (1850-1926) as president, Howes’ son John G. Howes (1887-1971) as treasurer and manager, and William L. Whittier. 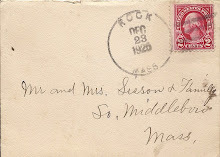 The younger Howes and Whittier both had previously been employed by Carlton W. Maxim’s Middleboro Auto Exchange. The Exchange was a retailer, repairer and lessor of automobiles and was later affiliated with the Maxim Motor Company which at that time had yet entered the field of fire apparatus manufacturing and still engaged strictly in automotive sales and repairs. John W. Howes appears to have been involved in the Nemasket Automobile Company primarily as financier to the operation and probably had little day-to-day involvement with the conduct of the firm which came to include three of his other children. 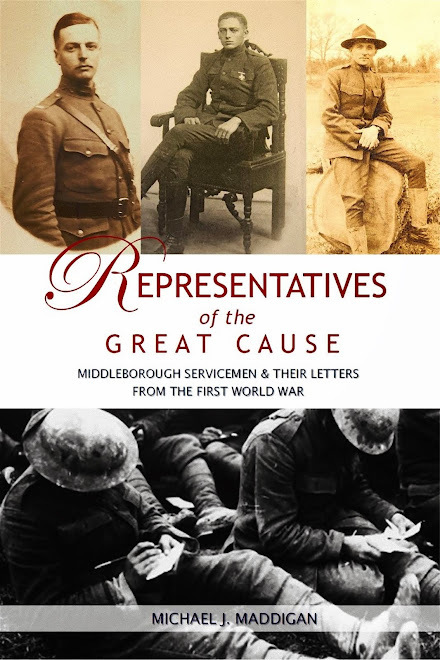 Whittier died shortly after the establishment of the firm and was succeeded by Harry W. Howes (1886-1970), Bernard Howes (1893-1979), and Miss Alice Howes (1890-1952) who also assumed the role of office manager in 1927.
portion of the present building. 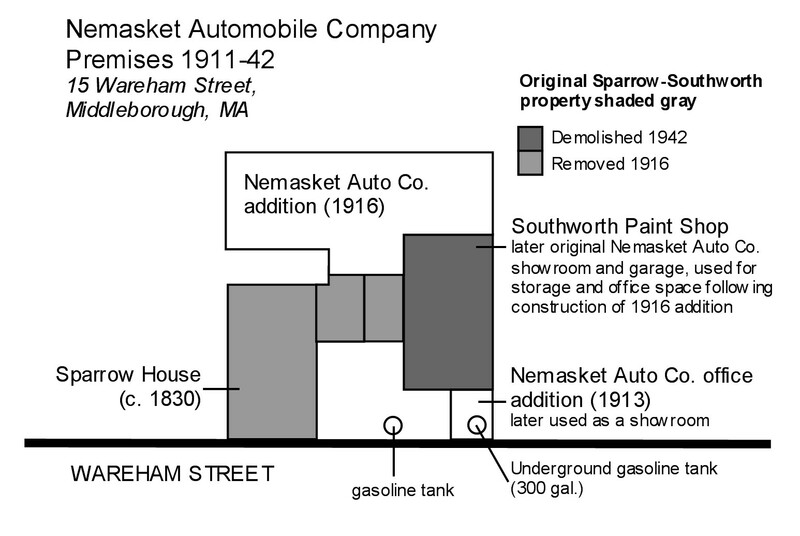 To house the new dealership and garage, the Nemasket Auto Company acquired the former carriage and sign painting shop of Rodney E. Southworth which stood on Wareham Street near the Four Corners at the head of Clifford Street. Alterations were made to the wood-frame building where carriages and wagons were once painted on the second floor. The dealership would remain in this location throughout its existence. 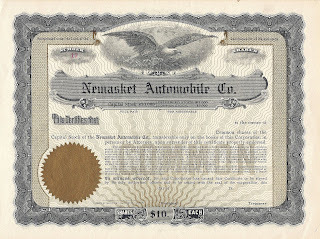 The Nemasket Auto Company opened its doors in April, 1911, and one of its first sales was of a Hudson “33” touring car to Roswell Shurtleff of Carver. 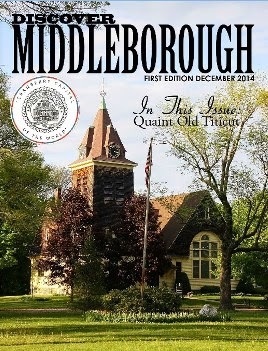 Within weeks, the Middleboro Gazette reported that the new firm was “enjoying a fine business” and described the layout of the operation. “The repair room is light and comfortable, and the equipment of tools for jobs, large or small, is first class. [John G. Howes] has an office and stock room at the front of the ground floor, and a ladies’ retiring room is under construction on the upper floor. A new wash stand [presumably an early car wash] adjoining the building is soon to be erected.” Though the firm was busily engaged in sales and repairs once it opened, work continued on the premises throughout the summer and fall. It was not until July, 1911, that a sign painted by G. Fred Standish was finally put up marking the business and not until late March, 1912, that the second floor was finally fitted as “a waiting room for ladies and gentlemen” approached by a separate flight of stairs. Initially, the Nemasket Auto Company’s dealt strictly in Hudsons, and December, 1911, saw the firm advertising the new 1912 self-starting Hudson “33” in four models – Touring, Torpedo, Roadster and Mile-a-Minute Speedster – each for $1,600. In addition to automobile sales, however, the company offered repair services on all makes, and also provided chauffeuring services for individuals in need of automotive transportation. Bernard Howes was engaged in this task during 1912-13, transporting W. R. Farrington of the Massachusetts highway commission about, traveling over 100 miles each day. 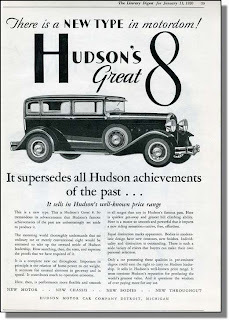 (No doubt chauffeuring clients about in a brand new Hudson helped advertise the product and increase its visibility). 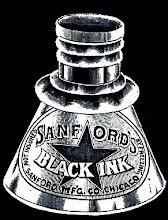 Besides Howes, other early employees of the firm included Ira B. Maddigan, Hazell F. Norton, James Coombs, Herbert Peck, and T. Sherburne Howes. 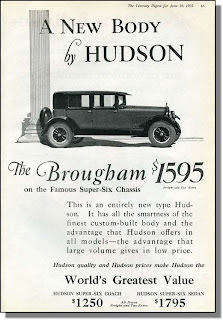 To keep alert to the latest developments in the automotive field, John G. Howes frequently attended functions sponsored by the Hudson Motor Car Company. 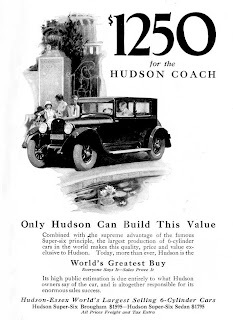 In March, 1912, he attended the Hudson booths at the Boston automobile show, and in July, 1912, traveled to Detroit to view Hudson’s 1913 models including the Hudson “37” which Howes termed “the best ever”. Additionally, Nemasket Company mechanics were rigorously trained in the intricacies of Hudson-built machines with Hazell F. Norton attending a three-week training school for Hudson mechanics in Detroit in early 1913. In August, 1913, Howes received a 1913 demonstrator model which the local newspaper proclaimed as “a classy affair”. Residents of the region apparently agreed. 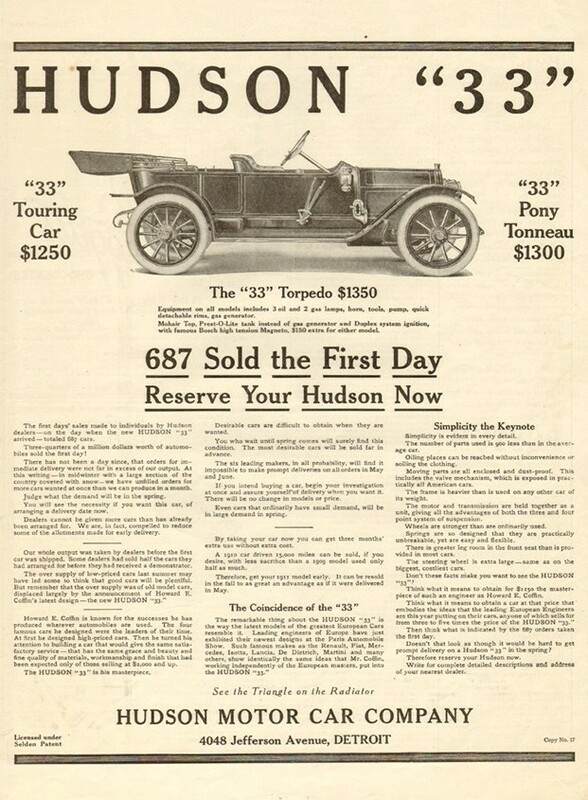 Within seven weeks, Howes had sold six 1913 models. “In four days [in late October] he sold a machine each day for spring delivery. He has delivered one four cylinder machine to Brockton parties and has sold two machines to Plymouth parties and three to Middleboro.” The fact that the newspaper noted the number of cylinders reflected the fact that Hudson had begun to transition to the production of more powerful six-cylinder models at this time. 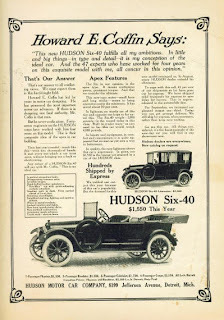 In late November, Howes delivered one of these six-cylinder models to E. P. Washburn of Marion, making a total of seven sold “within a few weeks.” By 1914, Nemasket’s advertising focused nearly exclusively on six cylinder models including the Hudson Six-40 for $1750 and the Hudson Six-54 for $2250. With the business having been set on a successful course, changes were able to be made to the building to help facilitate further sales growth and one-story addition was constructed in late 1913 for use as a combined office and showroom. ﻿﻿﻿ The alterations may also have been prompted by the new line of sales which Nemasket entered in 1914 when it acquired the Plymouth County agency for Yale motorcycles. 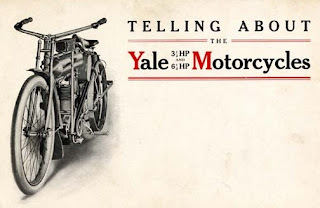 A year earlier, in February, 1913, a great deal of local interest in motorcycles had been reported locally and Nemasket’s acquisition of the Yale agency sought to tap into this demand. “Come and examine the wonderful transmission of the new Yale motorcycle,” the firm’s advertising invited. “See how simple and free from complication it is, and yet how remarkably effective. Have us show you how easily it climbs the steepest hills, and what tremendous pulling power this machine possesses.” No doubt, nearby Barden Hill provided the means for this test. 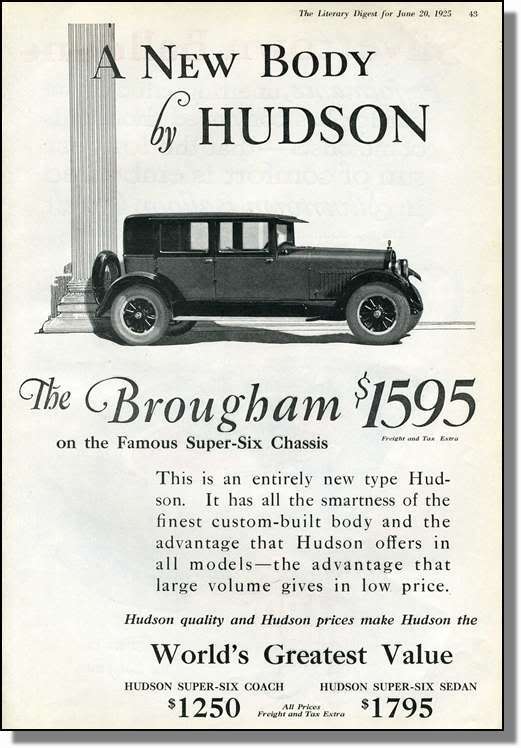 Though Hudsons would remain the Nemasket Auto Company’s primary product (including Hudson’s moderately-priced Essex, Essex-Terraplane and Terrplane automobiles which were produced by Hudson between 1922 and 1938), the firm at various times would also hold the local agencies for Dodge and Willys-Knight automobiles, as well as Denby trucks, and it also sold used (or what were then termed “second hand”) cars of all makes. 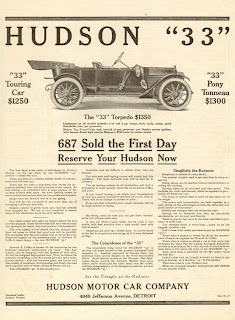 Howes explained that “the good demand for our Hudson Sixes has enabled us to take in some good second hand cars at very interesting prices.” In September, 1914, Howes sold E. G. Stevens of West Wareham a 1911 Jackson touring car, and used cars advertised in January, 1915, included a 1912 Hudson “33” touring car, a 1912 Overland touring car, a 1914 Hudson Six with electric starting and lighting) and a Maxwell roadster. 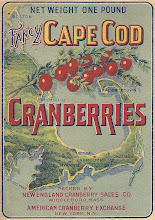 Then, as now, automobile advertising was a fixture of the local newspaper, and the Nemasket Auto Company’s ads were a frequent fixture in the Middleboro Gazette. Though changes were made to the showroom and garage building in late 1914, with floors being concreted, the walls fire-proofed with a plaster-like material held in place by wire reinforcement netting, and a steam heating plant constructed in the rear, another major change was undertaken in spring, 1916, with the construction of a large fire-proof addition. To construct the addition, the neighboring Sparrow House which stood immediately to the west of the garage building was disassembled in February, 1916, by Bertram L. Thomas (who reportedly used the lumber to construct houses at Fall Brook). The addition built by G. W. Starbuck and Son of Middleborough, was a one-story structure with a basement garage. Once completed, it brought the available floor space to nearly 15,000 square feet with room for offices, a showroom, repair shop and machine shop. (Later, a second story would be added to give the building its present appearance). 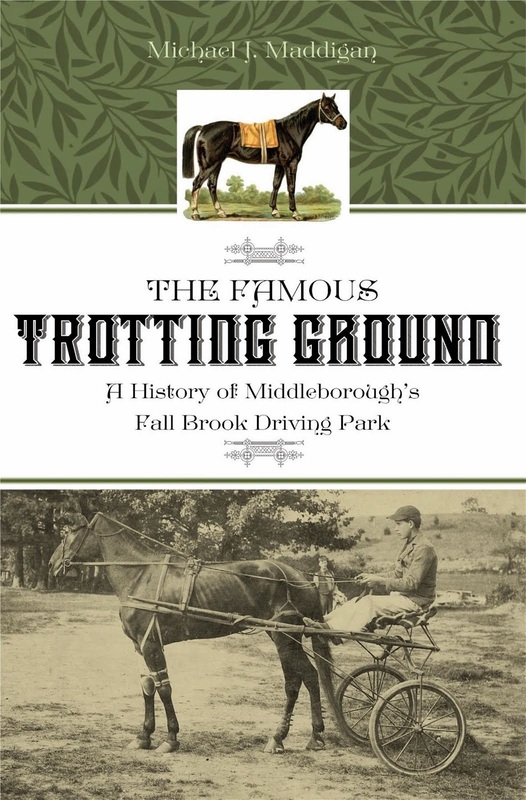 As elsewhere, automobile sales in Middleborough were competitive and the town had its own 1920s equivalent of the modern day “auto mile” in the form of Wareham Street. 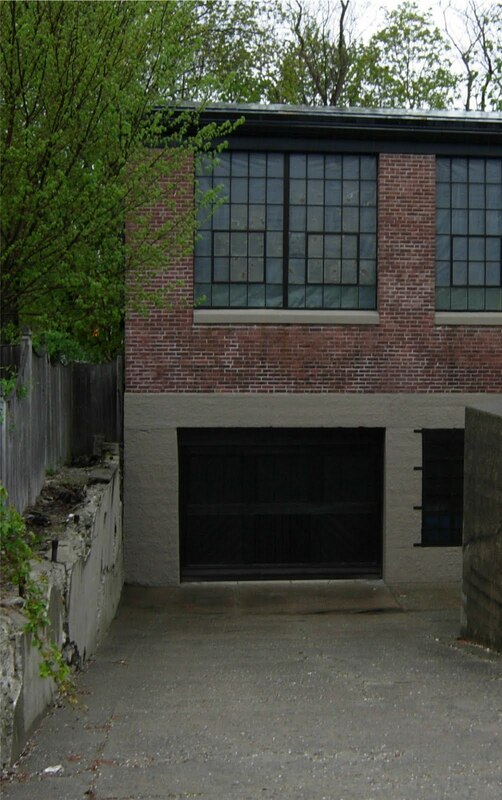 In addition to the Nemasket Auto Company, Wareham Street was also home to Charles R. Chase’s Riverside Garage (Ford), the Maxim Motor Company (Overland) and the Howes & Perkins Garage (Chevrolet). A short distance away, Bailey’s Garage at Rice and Sproat Streets held the Buick, Peerless and G. M. C. truck agencies; W. L. Aller’s Studebaker Service Station at Everett Square sold Studebakers; the Triangle Auto Company on Vine Street held the agency for Reo automobiles for Middleborough, Lakeville, Bridgewater and Halifax; and H. H. Dunham’s Garage at the Lakeville Upper Four Corners sold Chandler cars, Cleveland cars and Walker-Johnson trucks. Additionally, the garage sought to promote its principal product through highly-advertised events and programs. 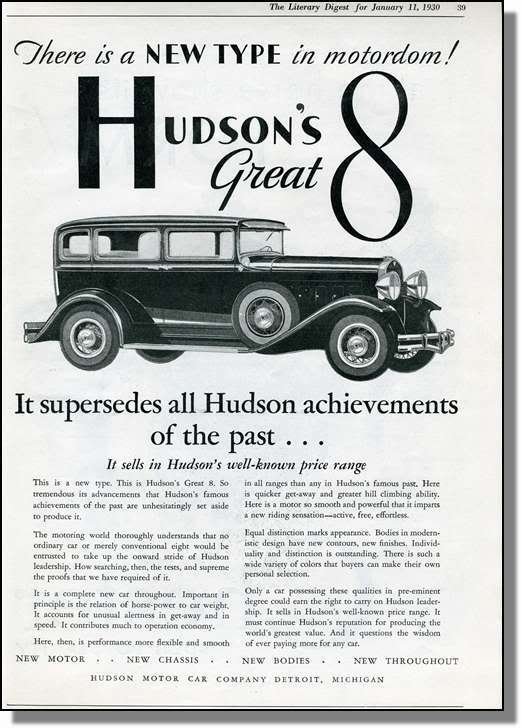 One of these held on July 24, 1929, featured Irving D. Thompson of the Hudson Motor Car Company who presented a three-reel film at the garage followed by “a comprehensive lecture” on the chassis of the new Hudsons. The Nemasket Automobile Company premises were thoroughly modernized in keeping with the desire to best display its products. In May, 1921, contractor Fred L. Hanson made alterations to the building, including the transformation of the office which stood directly fronting Wareham Street into a showroom addition. It was probably at this time that large plate glass display windows were installed. Certainly they were in place by 1930 when one was broken, ironically by a stone kicked up by a passing automobile. The grounds were concreted in August, 1929. 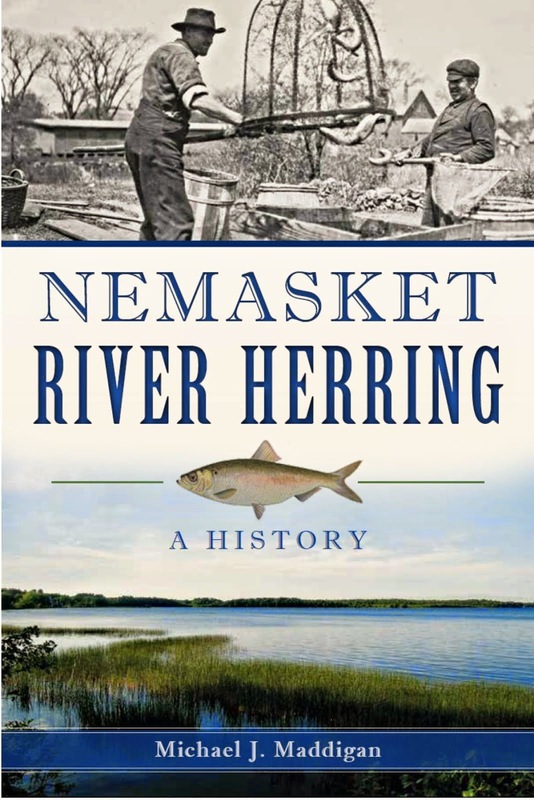 The Nemasket Auto Company remained in operation through 1942 when John G. Howes retired from the business. At that time, the company’s showroom and shop building on Wareham Street was acquired by Maxim Motors which relocated its sales and repair operations there. The building still stands at what is now 15 Wareham Street near Clifford Street. 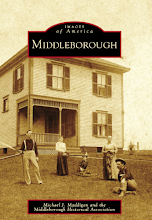 I can remember my mothers mother (Dorothy Briggs) telling me of the first car in Middleboro.